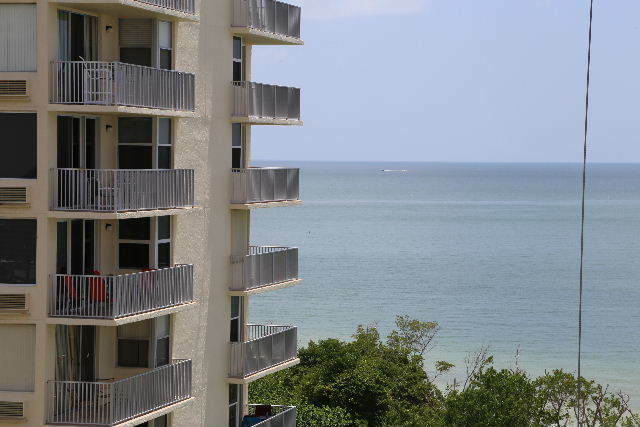 This beautiful 7th floor, direct Gulf front, one bedroom, one bath condo offers views of the Gulf of Mexico and Fort Myers Beach. Wake to the sounds of the gentle surf and the daily happenings of beach life. 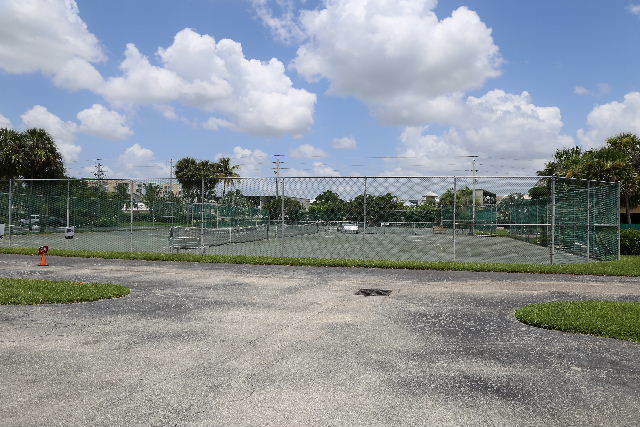 From the moment you walk through the door of Estero Beach and Tennis 708B you'll know you chose the perfect vacation property. 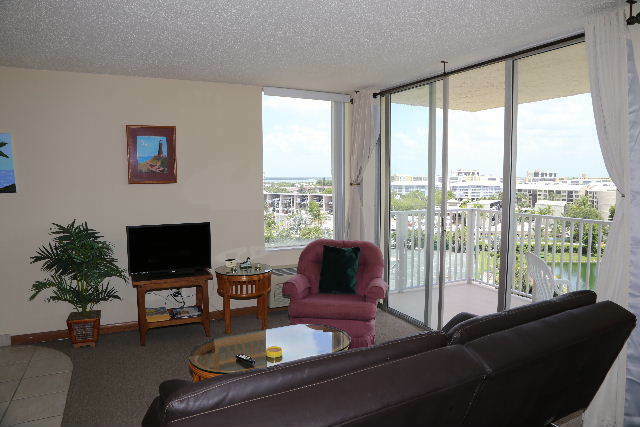 Every room offers endless views of the island of Fort Myers Beach. Just bring your bathing suit and tooth brush and prepare to relax. You'll enjoy your privacy as you see beautiful wildlife fly past your windows. 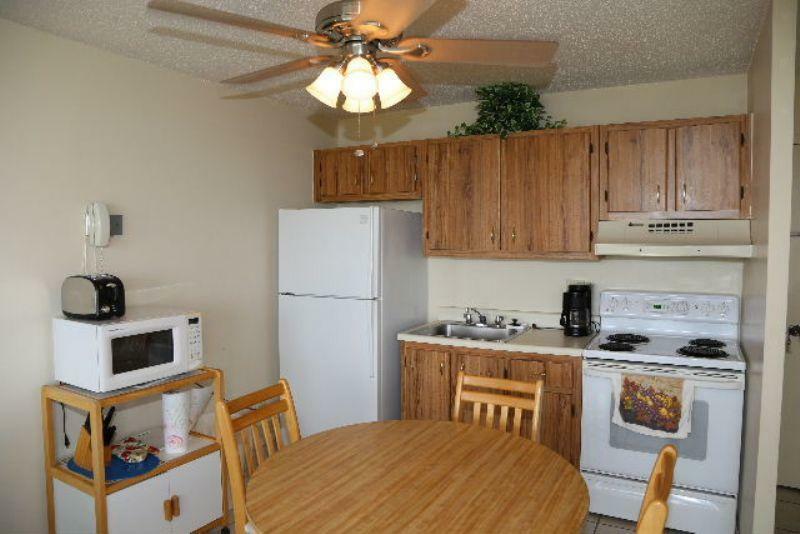 The kitchen is fully equipped with everything you could want or need to prepare all your meals. Enjoy your meals at the dinette table or outside on the patio. 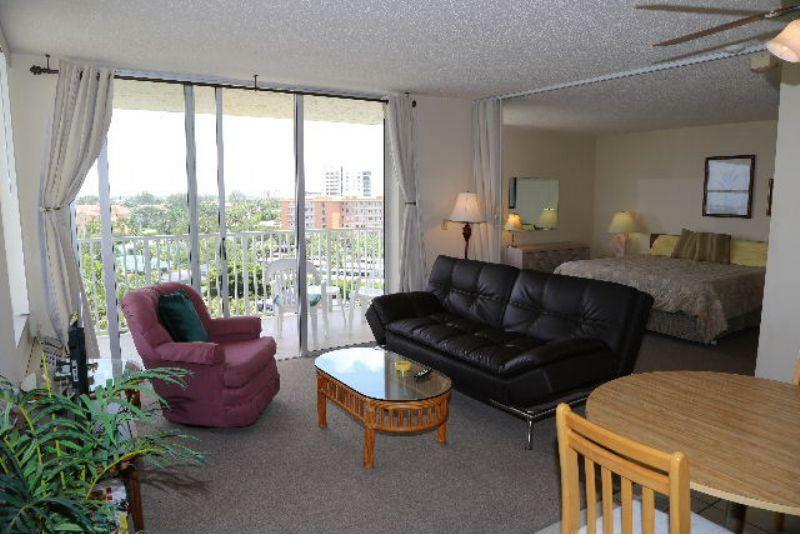 The living area is bathed in natural, bright light from the sliding glass door and the large picture window. 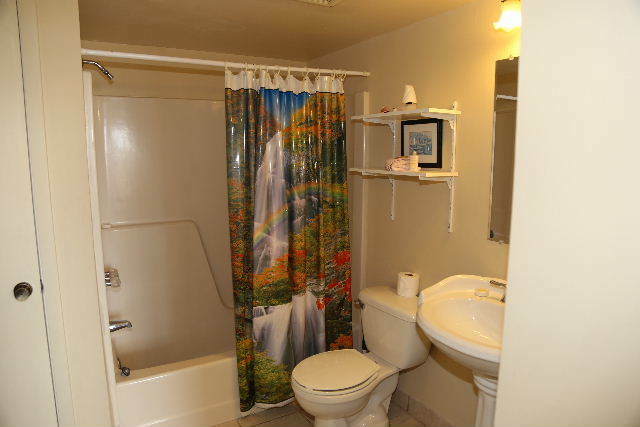 It's decorated in soft neutral tones and Southwest Florida decor. There is a ful size futon for an additional sleeping area if needed. Sit back and relax while watching your favorite TV show or curl up with a good book. Rest peacefully on the king size bed. Wake to an invigorating shower in the large tropical bathroom. There is a room divider from the bedroom to living room for privacy when having guests. 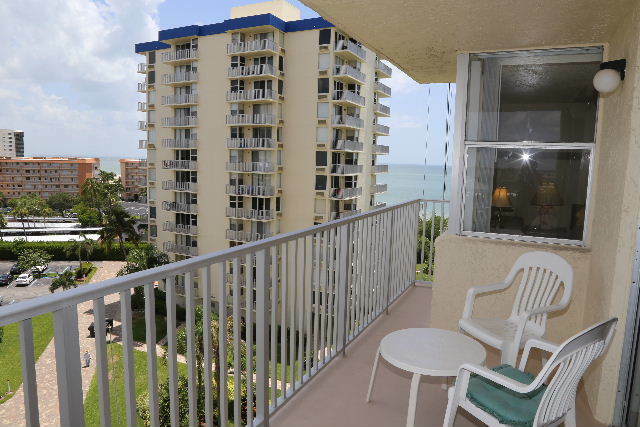 The open air lanai is sure to be your favorite spot. Feel the Gulf breeze, smell the beach, and enjoy the endless views of Estero Island while you let the stresses of everyday life fade away. 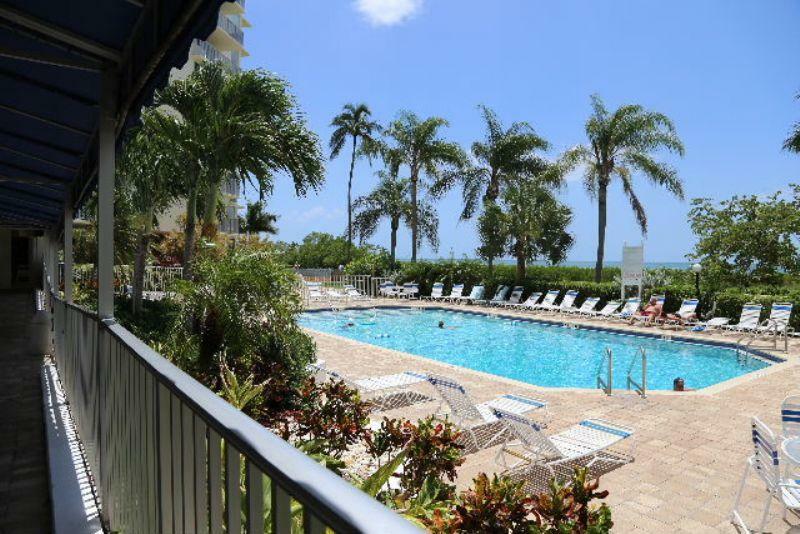 This is the perfect condo for creating endless memories, rekindling romance or reconnecting with your family. Wireless internet is available for those who need to stay in touch in the lobby level of the complex. Laundry facilities, with multiple washers and dryers, are located on the first floor for your laundry needs. Grab a book, relax beachfront on a lounger and wait for your laundry. Not a fan of reading? Then take a swim in the beautiful, large, in-ground heated pool, or an afternoon siesta poolside on one of the many loungers. With 7 miles of white sugar sand beach at your backdoor there's never a lack for something to do. Enjoy fishing? Try fishing from the beach in the Gulf of Mexico. You're sure to catch a great fresh fish meal. 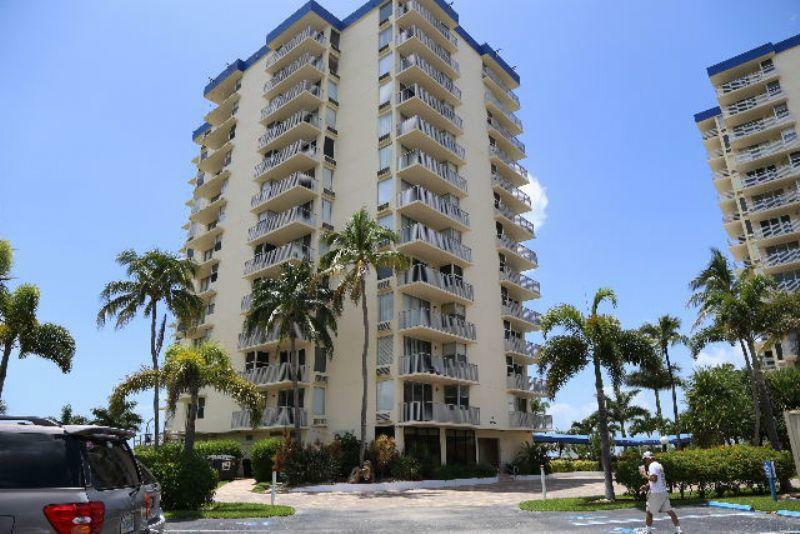 This condo is perfectly located towards the South end of the island. 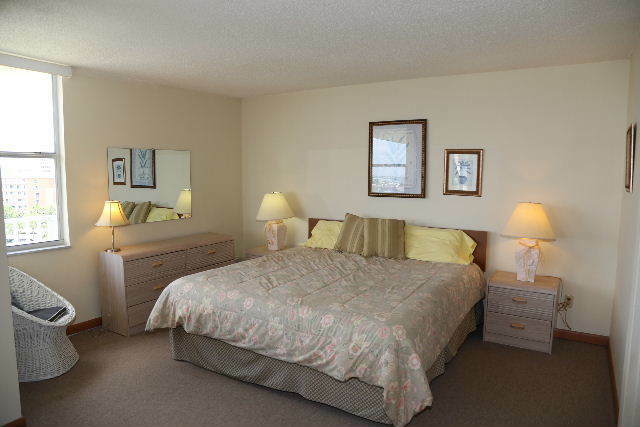 Walk to Santini Plaza or Fish Tale Marine right across the street from the condo. Here you can get fresh fishing bait, rent a boat for the day, shop in the numerous boutiques, or enjoy a delicious meal in the many restaurants. Fort Myers Beach has it all. Upscale shopping, cinemas, night life, restaurants galore. Trolley stops going both North and South bound are right in front of the condo. Jump on the trolley and see the island or head down to Lovers Key State Park for wildlife viewing and private beaches. For those of you who want a truly relaxing vacation, we offer full concierge service, daily housekeeping and turn down services. Let us know how our concierge can assist you. We can arrange for special occasion items to be waiting for you, or that special someone in your party, upon your arrival. Groceries, fresh fruit baskets, floral arrangements, limo/dinner packages, an in-house massage, are all things that we can arrange for you to make your vacation ultra special. Do you need a crib or high chair for a little one? 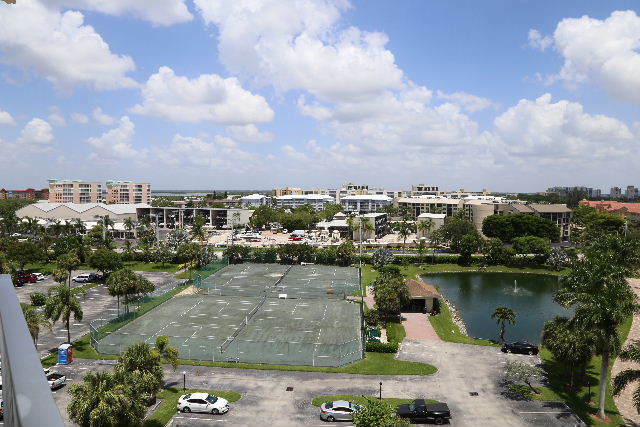 Kayaks to explore Estero Bay with? Golf clubs so you don't have to bring yours? Let us know. We offer a full rental department for those "extra" items that you may need or don't want to bring with you. Everything is delivered to you for your arrival and picked up on the day of your departure. So you can relax on your vacation in paradise.